This book talks about John Law and how he engineered the revival of the French economy and was one of the most powerful men in Europe during his time. John Law’s story is spectacular, he had a brilliant mind for numbers, and when gambling, it was mentioned that he used the law of probability. His first work, “Essay on a Land Bank” proposed a bank issuing paper money based on the value of land. This was a more stable basis for credit than silver, he contented, since history had shown that previous metals could fluctuate in value according to their scarcity, wheras land’s value was less volatile. The idea was not entirely original. Law’s arguements might be ingenious and succinctly expressed, but he could not erase his past. As a convicted felon and notorious gambler, hewas a far from obvious candidate to trust with the nation’s purse. Only upon the death of France’s King, Louis XIC in 1715, Law has a chance to convince the bankrupt court of Louis XV of the value of his idea. In August 1717, he founded the Mississippi Company, and the Court granted him the right to trade in France’s vast territory in America. 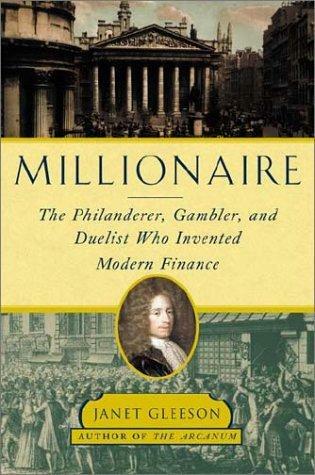 The shareholders in his new trading company made such enormous profits that the term “millionaire” was coined to describe them. Later, it was found to be an illusion. The news say there is lots of mineral found in the land and soil, but it turn out that these were mastermind by Law more as a marketing ploy. Before this first boom and bust cycle was complete, markets throughout Europe crashed and the mob began calling for Law’s head.